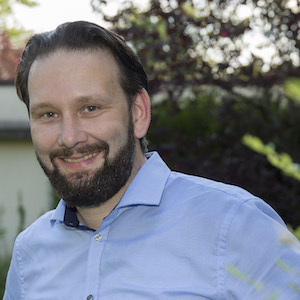 Pascal Gemperli holds a diploma in communication-engineering-management from the University of Applied Sciences in Yverdon as well as a Master degree in peace and conflict studies from the Fernuniversität Hagen. He’s a trained mediator and coach, accredited by the Swiss Federation of Mediators and the International Coach Federation; he is also a sworn mediator for civil and juvenile penal law mediation by the Cantonal court of the Canton of Vaud. Pascal is running Gemperli Consulting Sàrl, an Ltd company specialised in mediation, coaching, communication/management and development cooperation. He’s also part-time secretary general for UVAM and project coordinator for ae-Centre, a NGO specialised in mediation and peacebuilding in North Africa, which he co-founded in 2007. Pascal is engaged in local politics for the Green party in Morges and is currently presiding the city council (legislative). He is married and father of two young girls.